Lechon is practically a national dish in the Philippines, and restaurants specialising in this variety of roasted pig can be found in every city. 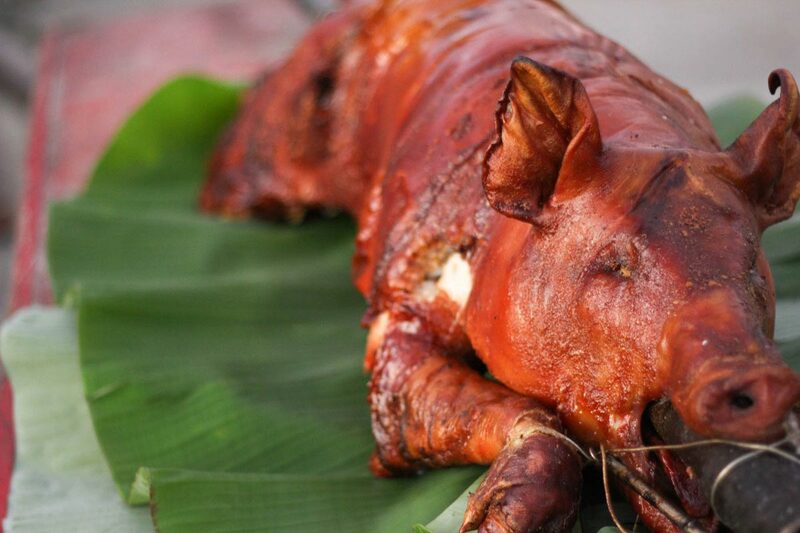 The Parada ng Lechon in Balayan (the “king of all Batangas festivals”) is a celebration held annually on 24 June (Feast of St. John the Baptist) where a full roasted pig is dressed, paraded, and doused with water to signify the act of baptism and celebrate St. John’s sainthood. Following this colourful ceremony, the lechon are eaten and the festivities continue into the night.